Kern will perform alongside Drogheda Orchestral Collective and the school choirs of St. Peter’s NS and Drogheda and Dundalk Grammar Schools at a very special concert of music for children in St Peter’s Church of Ireland, Drogheda on Friday March 24th. The event, titled “Fairies, Pirates and Other Tales”, is a fundraiser for St. Peter’s National School PTA. Tickets are priced at €10 per adult, €5 per child or €25 for a family. Tickets are available on the door on the night or can be booked by calling 086 160 3366. Doors open at 6:30 and the concert starts at 7:30 sharp. Complimentary wine and soft drinks will be served at the interval. More dates on the live page! More shows will be added in the coming weeks. Kern‘s final performance of the year will be as part of Our Lady’s College Greenhills massive Christmas concert in the Church of St. Augustine in Drogheda. Kern will perform with the College’s orchestra and choir and with Dónal Lunny. More information is available here. A beautiful, seasonal end to a great year. As some of you will have noticed, the lads in Kern have been growing moustaches to raise money for men’s cancer research and awareness charity Movember. They’ve come along quite well, but time is almost up to donate. Here’s the link! In other news, we are delighted to announce Kern’s new single, a brand new “Winter Mix” of “Short Term Thing” on December 2nd. The original mix of the song is available on Kern’s False Deceiver album, available here. The single will be launched at Boyle’s Of Slane on Thursday November 8th. Admission is free. The Facebook event page for the gig is here. 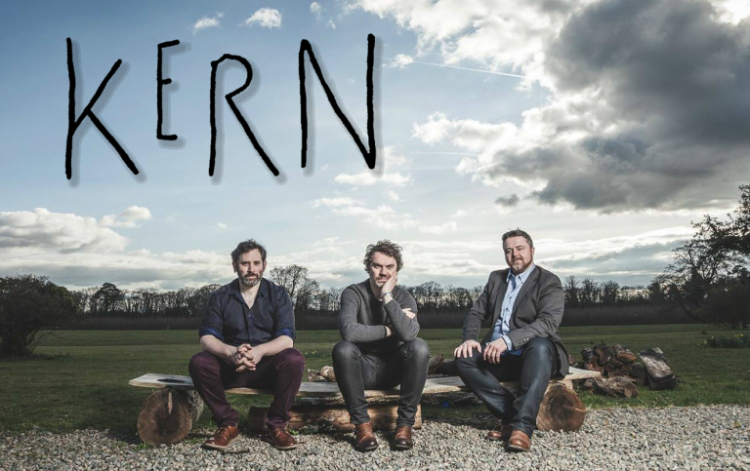 Kern are at Newry & Mourne Museum, Bagenal’s Castle, at 7:30pm this coming Friday (September 16th) for a special free Culture Night gig. Please come early, as seats are limited. Details here. The live show has been getting some nice notices lately. Here’s a lovely review of our Belfast show with Altan a couple of weeks ago in The Thin Air where Ian Patterson talks about our “dashing blend of traditional folk and contemporary songwriting”. And in an interview with RTE.ie, Darren Thornton, director of new Irish film sensation A Date For Mad Mary called our last Dundalk show “electric” and “visceral” and “One of the best gigs I’ve been to in a long time”. Read the full piece here. 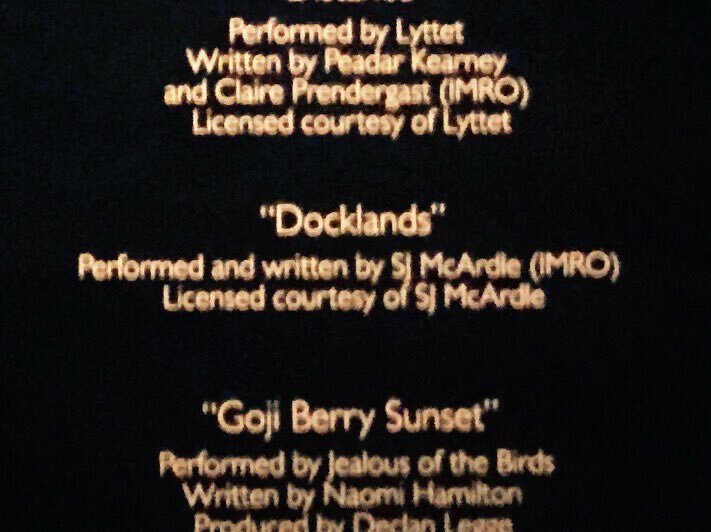 Speaking of “A Date For Mad Mary”, if you see the film you can hear one of SJ’s songs performed by Tara Lee in the character of Jess. It’s a beautiful movie and highly recommended. It’s hilarious and sad and genuinely romantic. Go see it! There are some new Kern dates up on the Live page, including shows in Belfast (opening for Altan on August 27th), Newry and Dundalk. Check it out! Meanwhile, here are some shots from our triumphant Spirit Store debut. We’re back on October 20th! Also, if you’re not on Facebook or Twitter, you may have missed our recent adventures at Drogheda Arts Festival, Willie Clancy Summer School, Vantastival, The Pat Kenny Show, RTE Raidio na Gaeltachta and Highland Radio in Donegal. Here’s a collage. Kern will be closing the festival with a performance at 6pm in the Great Hall of Beaulieu House on bank holiday Monday May 2nd. Looks like a great day of music! Spent a great afternoon with Kern at BBC Radio Ulster yesterday recording a session for Marty Cullen’s New Voices series. TX date is next Tuesday. The new Kern album, False Deceiver, is available now from iTunes, Google Play and Amazon digital – head on over to the shop page for links. CD copies will be available online soon. The response has been terrific so far – a glowing review in the US’s biggest Irish newspaper, the Irish Echo and plenty of radio play from RTE Radio na Gaeltachta, Radio 1, BBC Northern Ireland and a host of tasty, clued in local and regional stations.